Accessories are set of things, materials or articles that add beauty, attractiveness, convenience and completeness to one’s basic outfit. These put soul into garments and make it alluring. Accessorizing transforms a simple dull appearance into something glamorous, outstanding, and drop dead look. However, accessorizing can be an uphill. Some may tend to overdo it. Some may overlook to the fact that accessorizing is merely putting up adornments just to make it pleasing to the wearer’s or designer’s eyes. Looking around, you want to live in style. If given the chance, you may even want to fill up your place with all the key chains, figurine, picture frames and other stuffs that you bought while you were in travel. Of course who would not want to brag about travelling? But would you really think these are all necessary to provide your home the beautification it needs? Would you really think that these adornments are to be adored? It’s not actually on the “what” you display but on the “how” you display. So take a look on the sample for home décor accessories that would either make you keep or leave those kits. 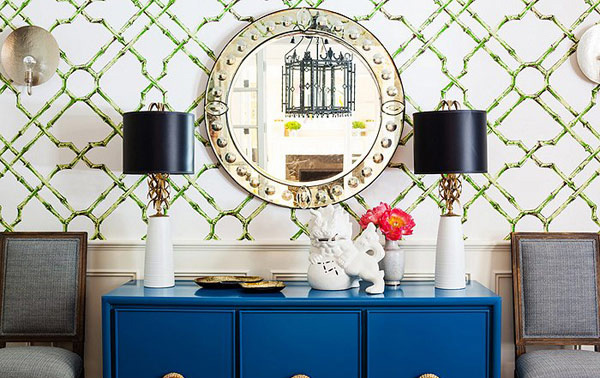 A white and green bamboo trellis wallpaper, round shiny mirror over an indigo buffet cabinet with brass lamps and porcelain art deco sure makes this dining room luxurious and gorgeous. Jars are not only meant to be a storage for coffee, sugar, or tea and are not only kept in the kitchen. 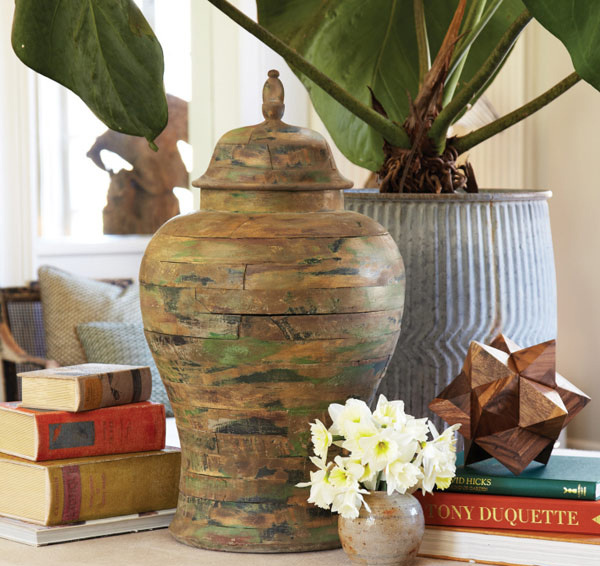 This antique ginger jar mounted as a centerpiece sure does spices up your area. Blue orbit glass jar, white and purple porcelain vase and green elf figurine matches the blue, purple and algae green scheme of this living room. 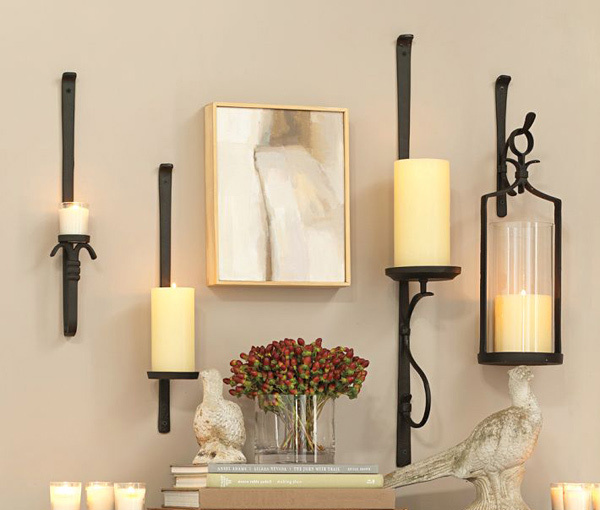 Crafted in cast aluminum, an organized and sculptural candleholder outshines brightly adding elegance to the room. Formal, classy and elegant living room with glossy brown floor curtains accessorized with pineapple structured lamp shades and other glass sculptures. 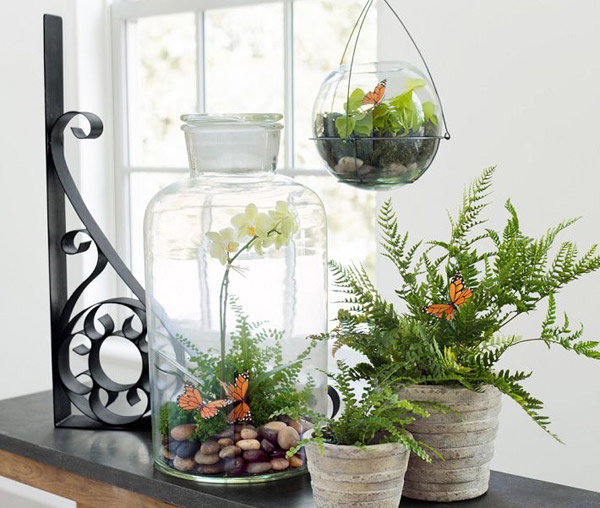 Enhance your love for nature with a metal bracket that works compatibly either with a glass jar of vines or as a standalone decorative piece placed as a centerpiece and serving as a focal point. No need to play with pink to go chic. Blue and white has been the trend to bring out the tough side of feminism in you. Make your room chic and highly stylish with neutral palette decors, well patterned floor curtains and a blend of wood and glass centerpiece. Antiques are unique. 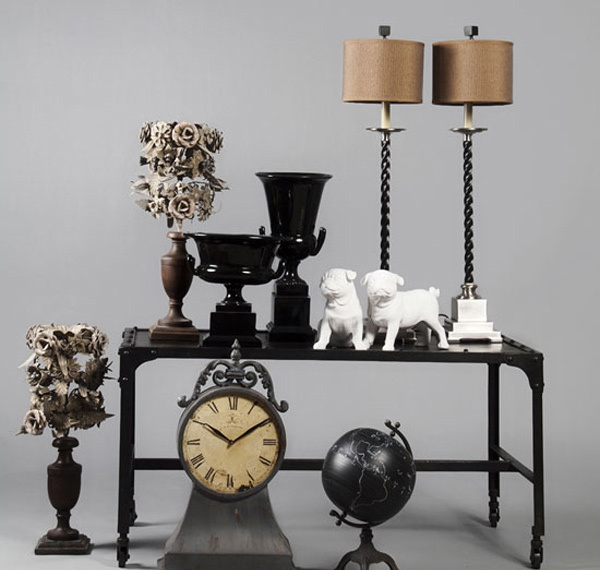 Combine vintage touches of black, brown and white clocks, vases and figurines. 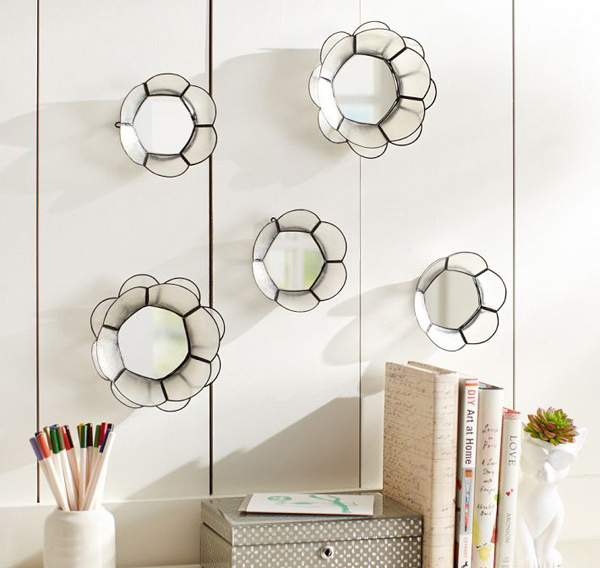 Expertly made of capiz shells framed in fanciful black wire, these capiz mirrors fashionably blossoms and polishes the room without any doubt. 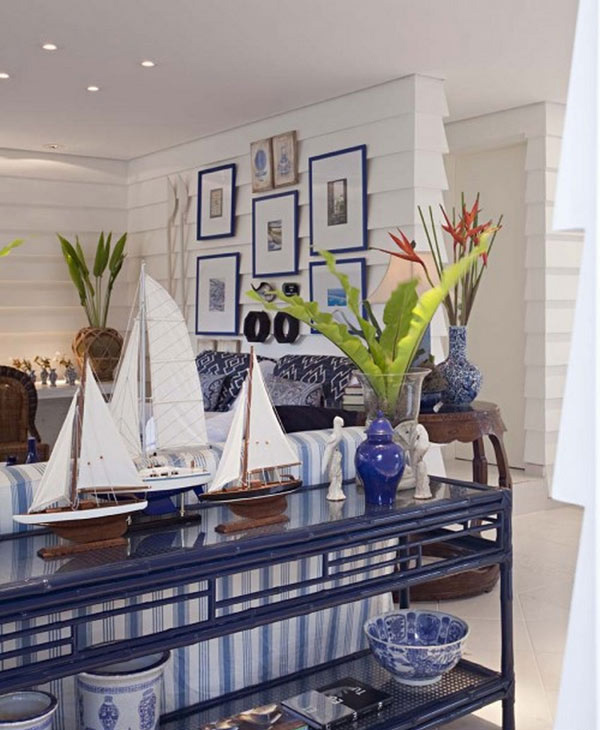 Blue glass table, blue and white porcelains and wooden sailboat treats this as no ordinary living room but transforms it into a resort entrance hall and wanting you to check in for the night. 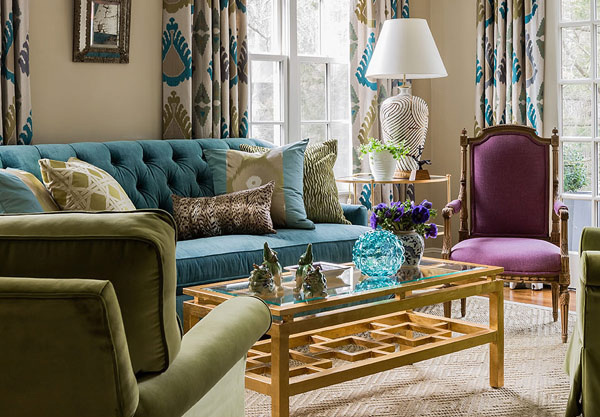 Keeping it cool and calm may mean having vibrant colors around. Yet this living room in monochromatic tones with frills both in traditional and contemporary fashion sure makes it soothing to the eyes and makes it very inviting and relaxing. A combination of traditional and contemporary style with natural elements creates a surprisingly vibrant, all- embracing, romantic and graceful atmosphere. 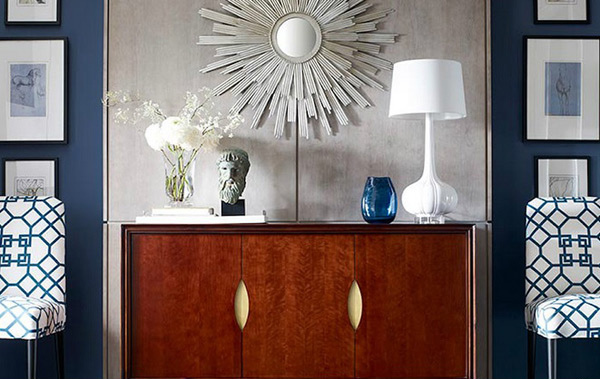 Sleek and organized wooden sunburst mirrors, turquoise vase and blue tufted figurines on top of a wood three drawer console table. A house near the beach is comforting and relaxing. SO there is no need to paint the room with splash of colors. 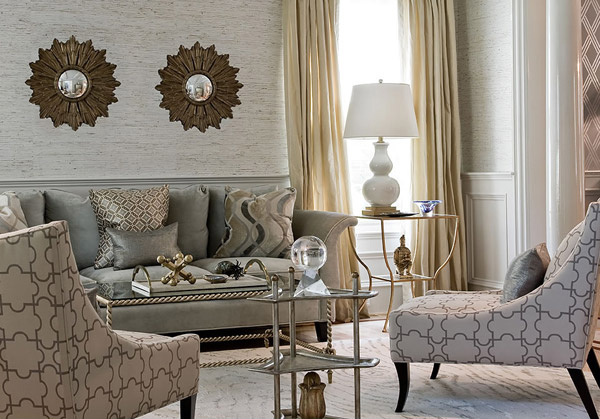 Just set in neutral tones such as this cream colored patterned wallpaper. 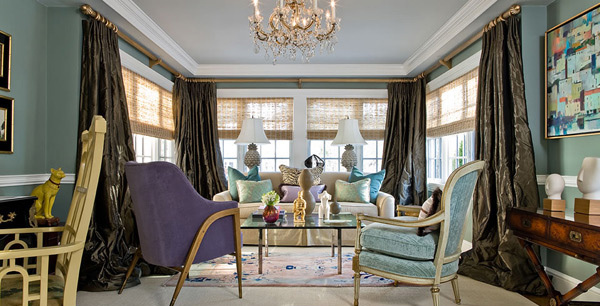 Simple yet gorgeous lamps placed on both sides of the sofa and a vintage jewelry box will do. Warm and homey receiving area makes up this naturalistic inspired receiving area. 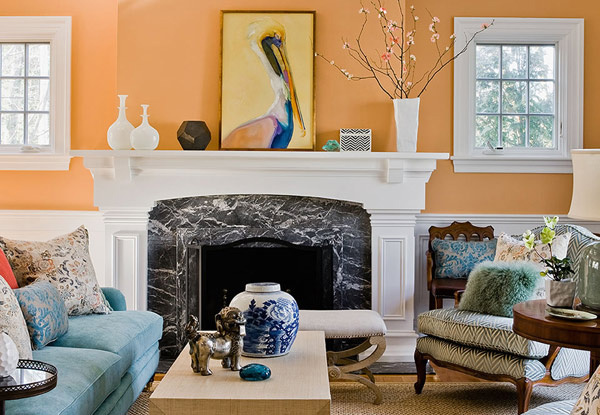 The painting and orange blossoms compliments the orange wall color while putting up a simple blue gemstone and blue porcelain vase blends in as well with the blue sofa. 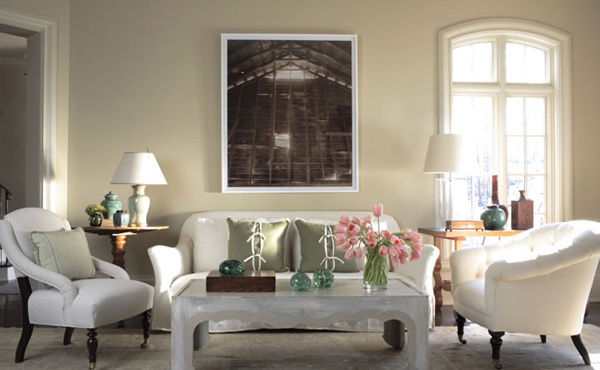 A white living room does not need contrasting garments to add up life and to make it attractive. Set it off with soft colored accents such as these faux pink roses, jade circles accents, lampshades surrounded with green vases and a painting put up in the center which will drag the attention into the room. Accentuate this living room with rich brown and green earthly tones. 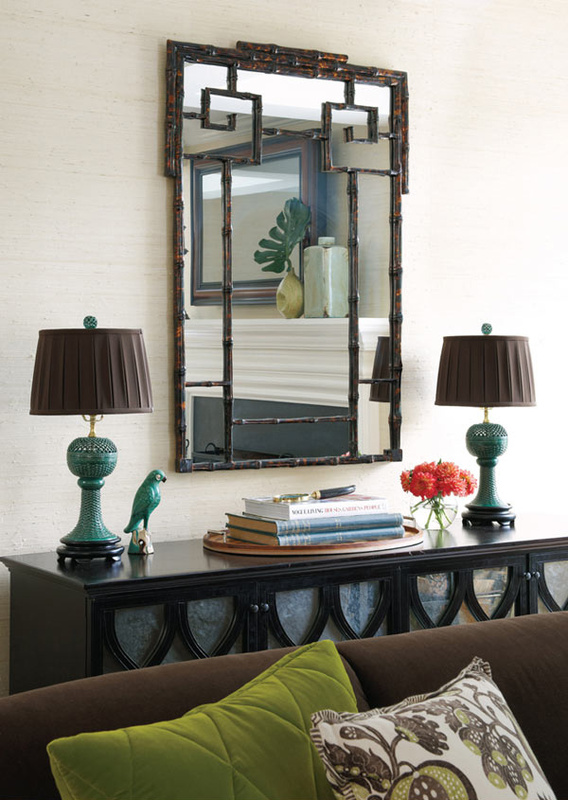 Place a faux bamboo pagoda mirror and lamps with brown pleated shade on top over a black wooden cabinet. An inviting and refreshing dining room placed with nickel framed mirror and white cabinet topped with white orchid and green foliage, brush stroke art and turquoise dogs. While on the side of the dining table rests a bar area where you and your guests will enjoy the whole afternoon. 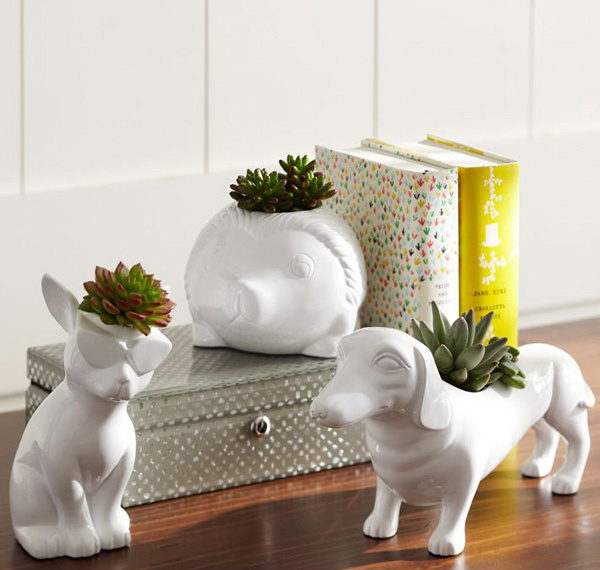 Planters molded into your favorite animals to add up a touch of nature friendliness into your room. 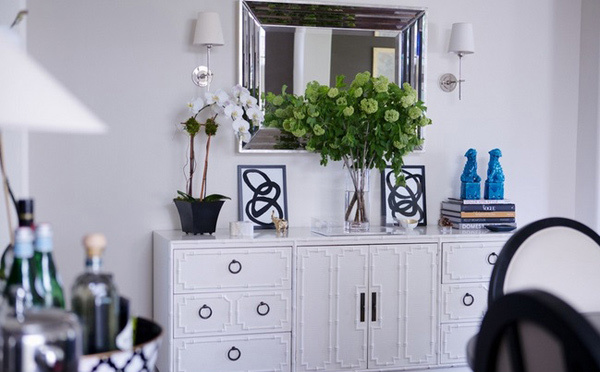 Just like dressing up for an occasion, accessorizing your home is like adding up jewelries, having the final touch and getting the total look that you desire. And whether or not it is accessorizing for fashion sense or for your home, one must not over- or under-accessorize and should not spend much for it. 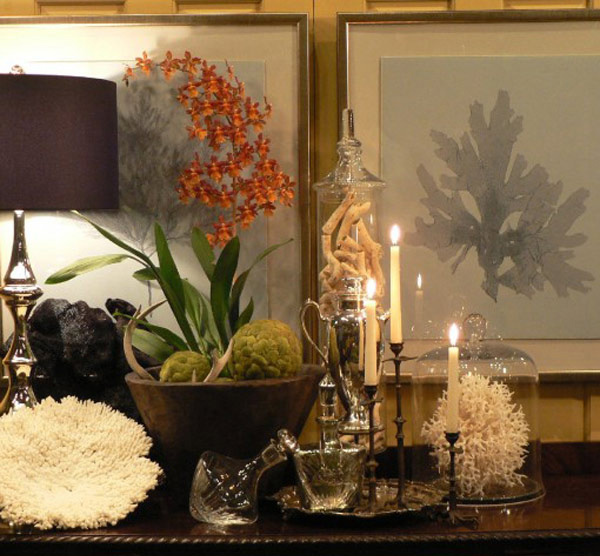 Home decors are limitless so and anything that is available will do. All you need to do is just to mix, match and have fun with all these 20 Decor Home Accessories. 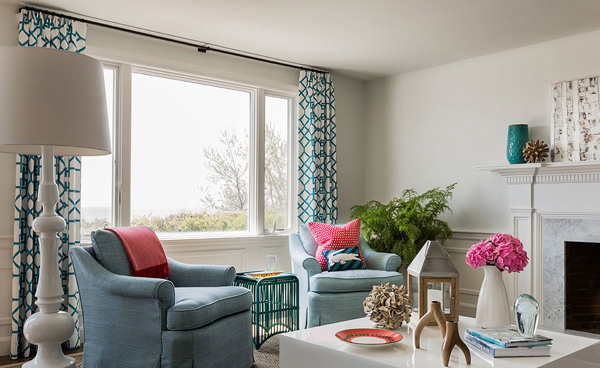 Look into our collection of charming living room curtains so you’ll get ideas on what type of curtain to place in your room.